After South Sudan gained independence in 2011, becoming the world’s youngest country, over 3 million babies have been born in war, the United Nations Children’s Fund (UNICEF) revealed Saturday. The area has been plagued by conflicts and underdevelopment for years, which led to enormous impact on children. They dropped out of school, became malnourished, lacked immunity, and suffered abuse. South Sudan is in times of war. After being independent in 2011, a civil war broke out after two years. Although 800 children have been released from armed groups at the beginning of this year, 19,000 others still continue to be exploited, serving as fighters and suffering sexual abuse. The number of people, who do not know where their next meal is, has increased by 25%. Worse even, some of them only had one step away from famine during the lean season. Malnutrition rates are at critical levels. Over one million children are malnourished, including 300,000 on the brink of death. More than one-third of schools were destroyed, occupied or closed since the beginning of civil war. 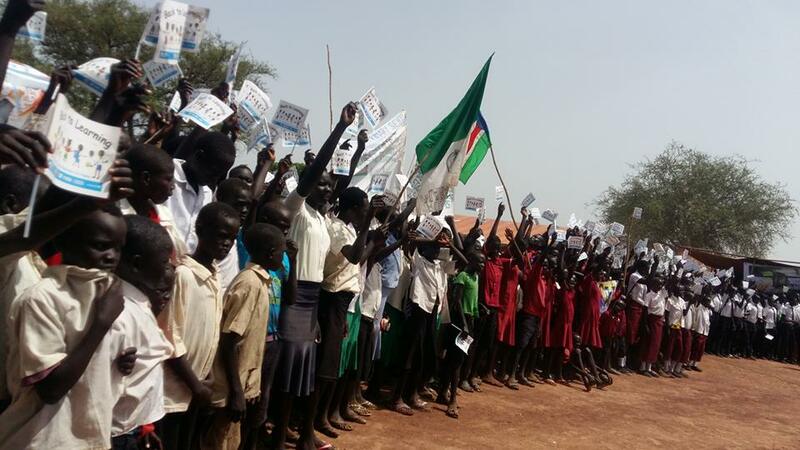 Children lived without proper education and South Sudan has become the country with thy highest proportion of out-of-school children in the world. However, efforts to aid these children in greatest need are being hindered. Aid workers’ lives are at risk due to political instability. Over 100 aid workers have been killed in the violence, including a UNICEF driver last year. Although a large number of refugees had returned to the country after getting its independence, more than 2.5 million of children have fled to neighboring countries.